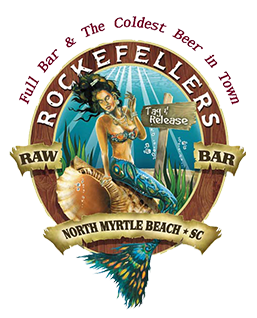 At Rockefellers Raw Bar, we are committed to satisfying each and every customer with great food and excellent service. We offer a wide variety of Crawfish, Scallops, Mussels, Oysters, Crab Legs, Shrimp, Tuna, Lobster, Steaks and MUCH MORE! Whatever you're in the mood for, you can find it here! Relax in one of our comfortable captain's chairs and watch the bartender prepare your favorite seafood dishes! Check out our menu and you'll find everything that you need!